“There seems to be a grand misimpression that a new sea-level rise report released by the Science Panel of the Coastal Resources Commission is different from a report released in 2010. Here’s the shocking news: They’re essentially the same. The main difference is that the Science Panel first was asked to look 90 years down the road. The new report looks 30 years down the road. Interestingly enough, the first report includes a projection for 30 years that essentially matches the 30-year projection from the new report. 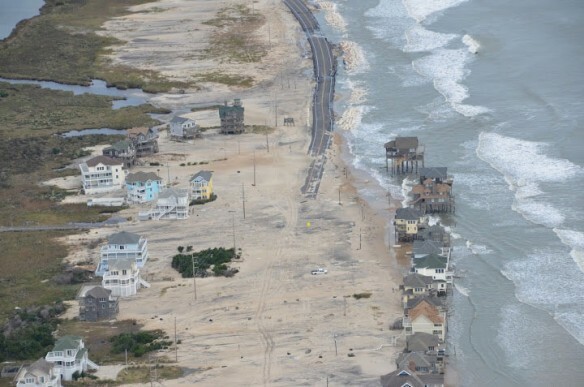 Yes, it is true that the new report includes different projections for the northern and southern North Carolina coast because northeastern North Carolina is subsiding. But the first report clearly acknowledged this difference. Why did the first report choose to use the higher northern Outer Banks rate for its SLR projection? Because the Science Panel was directed by the CRC to report only one number in that report. Had the CRC requested multiple rates, it would have gotten them.